Is it possible to sense if an specific technological advance was made with genuine good faith? Talking with the founders of Arduino, you always have this honest impression. Some time ago we interviewed Massimo Banzi at Barcelona (you can read it here) and few months later we had the serendipitous chance of talking with David Cuartielles, co-creator of Arduino, as well as Electronics Laboratory Director at Malmö University and an active promoter of open hardware and education through technology. Arduino is becoming something like a household name in electronics, being used widely by the Maker movement. For those who are not familiarized with it yet, let’s summarize saying that Arduino is an open source board of micro-controllers which has revolutionized the way of making interactive objects: easier, cheaper and backed on the community cooperation. A new way of understanding electronics, interactivity and our relationship with the world around us . As put in <<Arduino: The documentary>>: “It’s kind of like I’m taking one step up a ladder and helping other people go further up the ladder”. 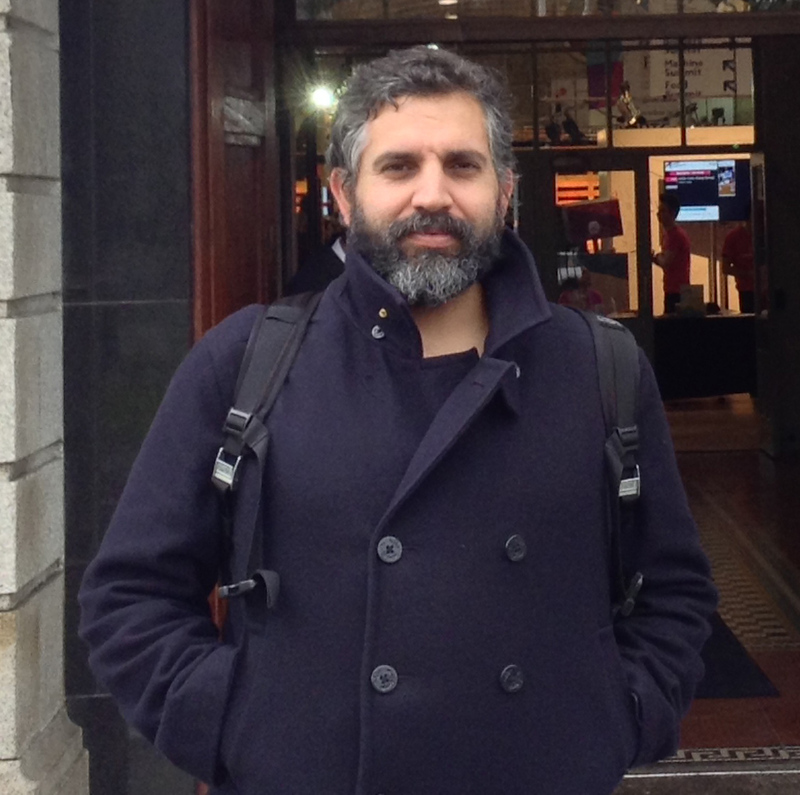 Talking with David Cuartielles in the Web Summit at Dublin, we better understood why Arduino’s community is unstoppably climbing the ladder of technological evolution. D.C. Yes, something like this is happening and I must say that it is a honor to me, as we are changing the way people understands the creation of hardware and software. P.N. How did you start working together in the Arduino project? D.C. It’s a funny story. I started studying electronic engineering and working in the University, and I realized that even being a passionate of electronics in that moment I didn’t really liked the practice of it. I was 24 then. So I took the chance offered by the School of Arts and Communication of Malmö University, On January 1rst 2001 I took my car, all my things, and I drove through the bridge to Malmö, Sweden. In the University I gave Java lessons to Industrial Design and Interactive Design students: people who had no former education on technology, meaning that I was teaching to people who didn’t knew what an algorithm is, or discrete mathematics, or mathematic thinking at all. It wasn’t easy, I had to invent a full series of methods. Now it seems normal because many people is working on this, but back in the year 2001 there was nobody. 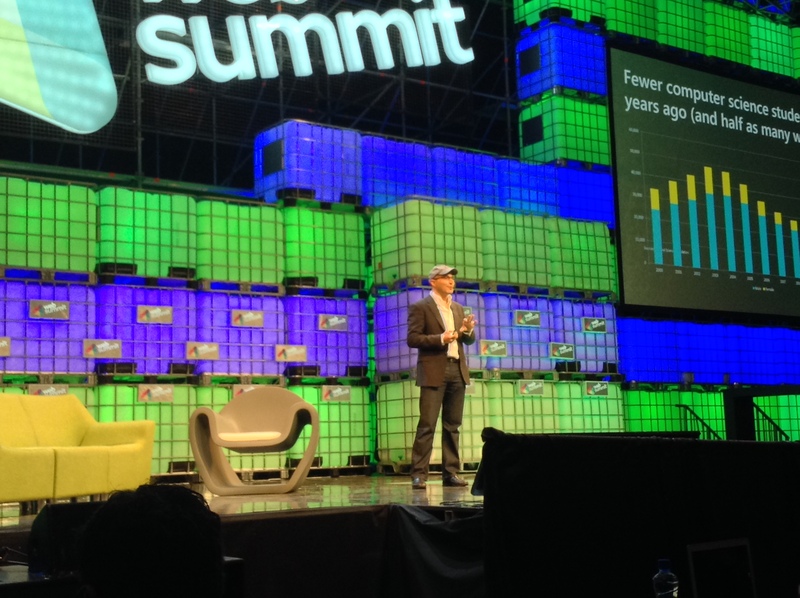 In the third and last day of Web Summit, the enormous tech conference celebrated recently in Dublin, Ireland, we headed to the Centre Stage to attend the talks of some noted speakers arousing our interest. Here, our highlights. Hadi Partovi, co-founder of education non-profit Code.org, introduced us to the worldwide campaign “Hour of Code”, an initiative aimed to demystify computer science and inspire millions of school students to learn to code. The campaign, born in the U.S. in 2013, is backed by technology leaders like Google, Microsoft, Apple, Amazon, and many others. The Iran-born entrepreneur said that even if computers are everywhere, increasingly impacting every field of human activity, computer science is just on the recovery from a 10-year decline. In the U.S., there are fewer computer science students than 10 years ago, meanwhile in Europe only 11 countries have science/coding in the schools’ curriculum, at the same time as “every single industry is desperately trying to hire programmers”. Initiatives like this Hour of Code try to address the matter. Even if anyone (teachers, parents, etc.) can host an hour of code anytime, the next milestone will be happening during the week of Dec. 8th – Dec. 14th, when they plan to achieve the goal of tens of millions of students around the world trying an hour of code. The Innovation Week Rome ended with the Maker Faire European Edition, a huge event where makers from all around the world met to showcase and share their innovative ideas and inventions with more than 90,000 people from all ages. Showcases, exhibitions, workshops and talks in the field of robotics, 3D printing, drones, sensors, and many more, took place during 4 days at Rome’s Auditorium Parco della Musica. 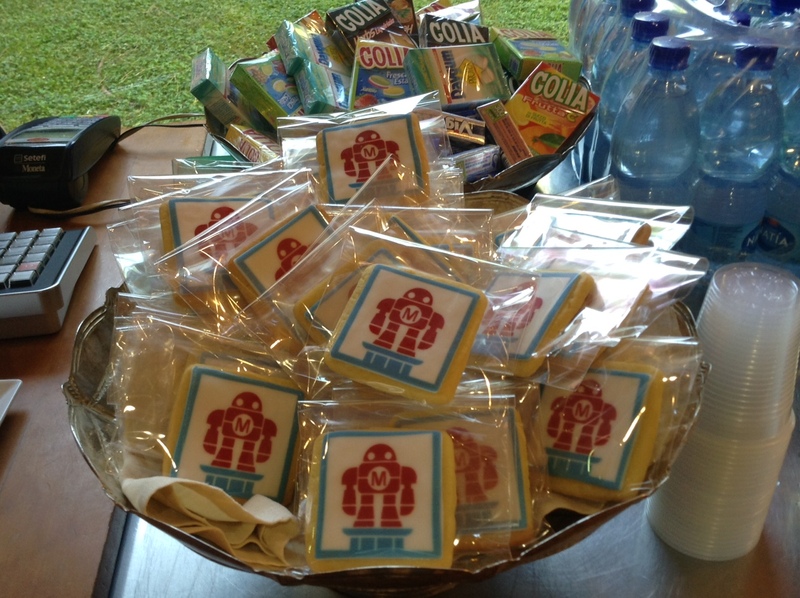 Maker Faire Rome was promoted by Camera di Commercio di Roma and curated by Massimo Banzi and Riccardo Luna. On this post we will focus on the Opening Conference that gathered an array of noted international speakers to talk about the future of the Third Industrial Revolution and Maker Movement. 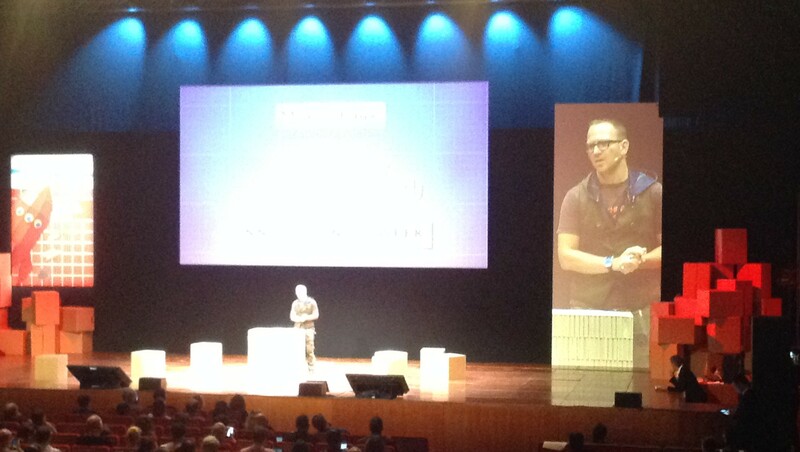 Science Fiction author and technology activist Cory Doctorow made one of the boldest speeches of the meeting. Doing a strong call to make an active defense of liberties on the Internet, he depicted a chilling future if we don’t do something now about some issues: particularly, he addressed, privacy and freedom of expression. He talked about the interests of companies to limit liberties on the Internet, being done that for the ruling technocapitalism system it is not convenient that people can freely share their knowledges and discoveries –even they are already achieving to turn illegal the act of publishing certain informations. Referencing Hal 9000’s quote of the film “2001: A Space Odyssey”, Doctorow mentioned the growing possibility of machines starting to decide what things we can communicate based in parameters predefined by companies. Furthermore, he also remarked the importance of organizations like Open Rights Group to preserve liberties of individuals on the Internet, and finished saying that “The Internet is the nervous system of XXI century”, hence we shouldn’t underestimate the importance of these issues in order not to jeopardize the future of Humanity. Scientist Michael McAlpine from Princeton University presented his researches in the development of bionic humans. Some years ago, he developed a flexible material that produces energy when subjected to mechanical pressure. This can be applied to generate power from human motion, for instance portable electronics powered by walking. Nowadays, he is working on the creation of bionic organs through 3D printing, being the advancements so promising up to the point that McAlpine envision a future where being bionic will be something normal. From 27 sep to 5 oct, Rome hosted the Innovation Week, a place where leaders in innovation, technology experts, makers and many more met to share views on how the near future will be. Promoted by the Chamber of Commerce of Rome, and organized by the Asset Camera, in collaboration with Arduino and Make magazine, the Innovation Week took place in Auditorium Parco della Musica. 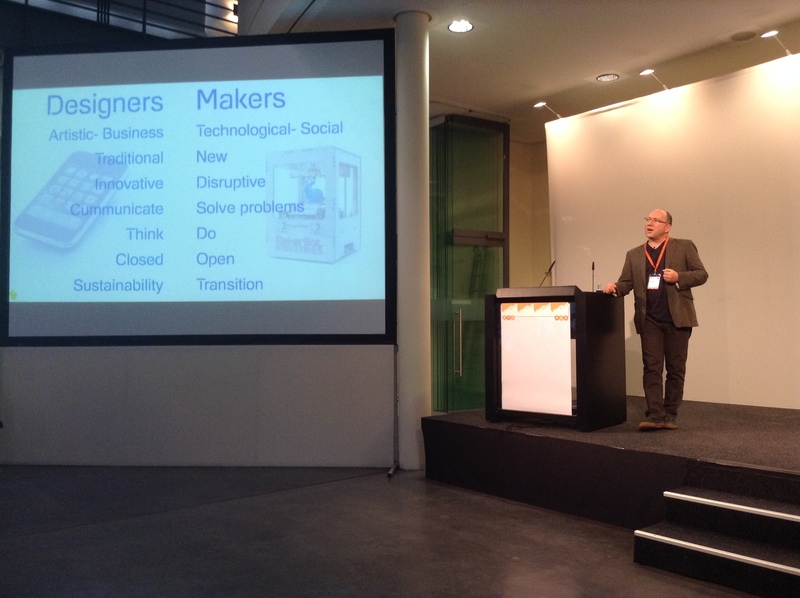 The Innovation Week featured many events, ranging from the huge Maker Faire European Edition to the Open Hardware Summit (here, our review of this event), as well as many other events covering an array of topics like social innovation, smart cities, Internet of Things, data society, wearables, creative start-ups, smart money, and so on. For those who are not familiar with the Internet of Things concept yet, briefly we can summarize it as the development of a wide network of interconnected everyday objects via the Internet. From traffic lights to fridges, lamps, and even your own body, everything could be linked to the web, sharing data and being commanded online. Considered as the “big next thing” by amateurs and specialists, Internet of Things (abridged, IoT) brings as many expectations as doubts about its impact on people’s lives. 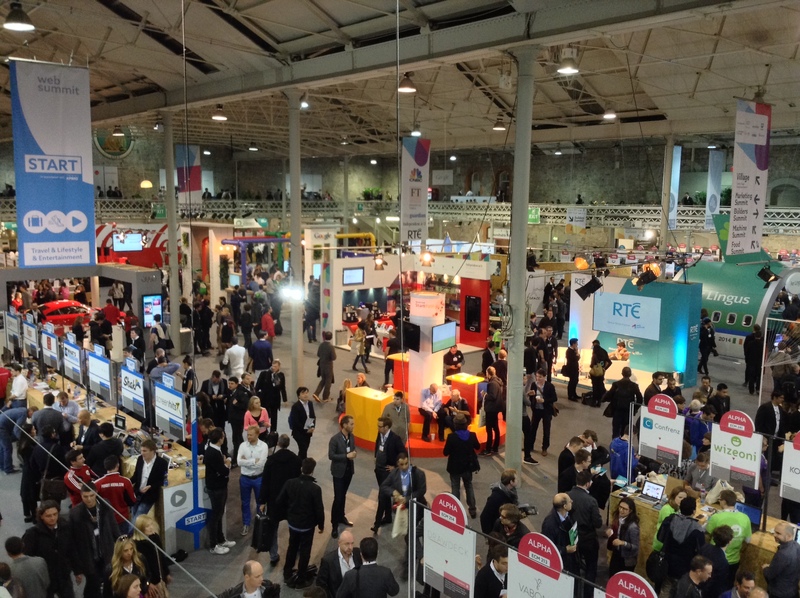 Meet IoT was the event focusing on Internet of Things at the Innovation Week, showing how IoT developments can make our lives better, but also bearing in mind the challenges and even dangers this would mean. Following, our highlights. 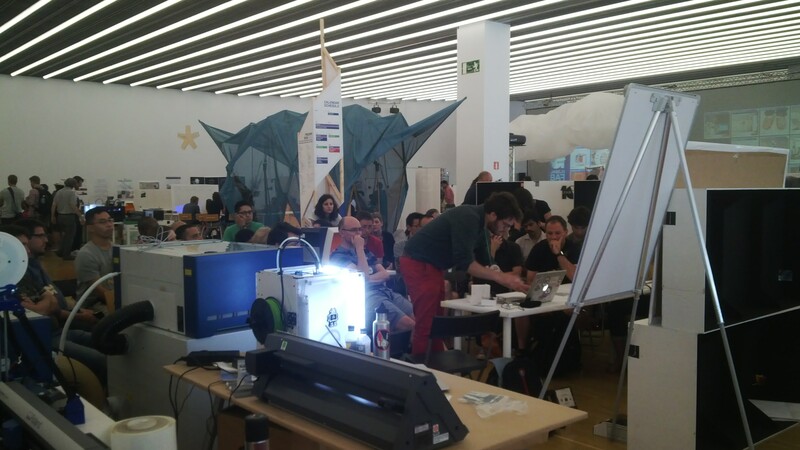 During one week, starting from 2nd July 2014, Fab 10 Barcelona meeting gathered the international Fab Lab community. 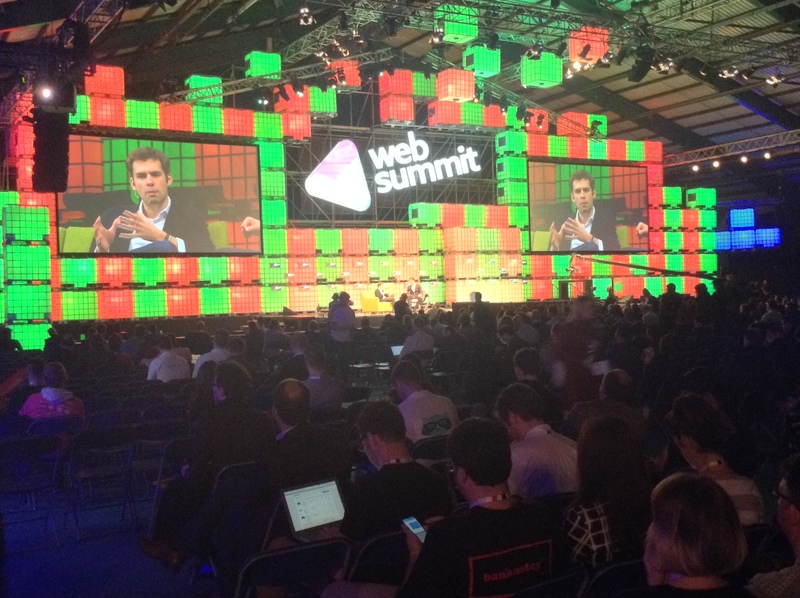 It was a week full of events focused on open technologies and social innovation. Most of the events were held at Disseny Hub Barcelona. Atmosphere was thrilling: you could feel the excitement of people around workshop tables, the conviction of speakers at the panels and speeches, the energizing sensation that something not just new but real (and wide-ranging) was growing there. The choices were so many, and related to so many areas, that it was quite difficult to pick out just some. And everybody was there to make the best of the event: not only in terms of knowledge, but in terms of human relationship as well. If anyone has any doubt about the strength of the Fab Labs wave, Fab 10 Barcelona was the place to understand why this is a movement meant to last. On 5th and 6th July, it also hosted the Fab Festival, a myriad of simultaneous events as workshops, demos, talks and exhibitions with topics like digital fabrication, emerging communities and productive cities. Saturday started, for us, with Foodini, the 3D food printer by Barcelona-based company Natural Machines. Foodini prints all types of real food as burgers, ravioli or pizza, using fresh ingredients. During their workshop, they presented the printer as a kitchen appliance that can contribute to a healthier eating lifestyle, encouraging people to make their own food but saving them some of the most time-consuming cooking tasks. Foodini printers may also be helpful for professional use. They are on prototype stage, expecting to start shipping units in the second half of this year (2014). Its price will be around € 1,000 ($1,300). Next we attended the workshop of e-Nable, a global community of makers, engineers, designers, parents and many others who create and design assistive hand devices for those in need. These designs are open source, and can be downloaded and 3D printed for less than $50 in materials, being available on Thingiverse. If you are interested to collaborate, you will find more info on their web site. During the workshop, Kachina Gosselin and Jon Schull from E-Nable kindly showed us how easy is to make one of these mechanical hands. They also told us encouraging stories about members of the community, for instance a 11 years little girl who knew the project and decided to make hands for other children. They also told us about the origin of the community, which is a beautiful story deserving a separated post. The most touching moment of this workshop happened when a young couple came on stage, looking for an affordable solution for their 7 months child who has a not fully developed hand. E-Nable devices can become a viable alternative to expensive commercial prosthesis, particularly suitable for the growing child. RE.WORK Technology Summit was held during two days in Umweltforum (Environmental Forum). This church venue, situated near Berlin Alexanderpatz, is over a hundred years old and has been renovated with high-spec environmental technology. Day Two opened with the Start-Up Stage. From the six participating start-up companies, all of them with interesting proposals, we highlighted the Berlin-based start-up LUUV, who presented a “bits and atoms” project looking very promising. They are aimed to produce and market the first 3D-Printed plug & play camera stabilizer for smart phones and action cameras, that allows to everybody to shoot steady footage at any time. Now, they are in a prototype stage and “looking for hardware-loving investors”. Following the Start-Up Stage, Béatrice Marquez-Garrido presented us Future and Emerging Technologies (FET), an EU-backed funding programme whose mission is discovering new technologies with an emphasis on inter-disciplinary, collaborative and high-risk projects. During her brief presentation, she showed some innovative projects where FET is working on as the computer-controlled brain stimulation technology HIVE and the new generation of neuroprostheses Brain Bow. A call is open to submit novel ideas for radical new technologies. “Meet the New Makers” session gathered to three noted speakers: Ronen Kadushin, Peter Troxler and Sebastien Bourdeauducq, discussing about topics as Open Design, Maker movement and Open Source. Starting this session, the Israeli, Berlin-based industrial designer Ronen Kadushin enthusiastically talked about Open Design, to which he defined as design behaving as software. He also regarded Open Design as an opportunity for industrial design “to join to the network” and be part of “the cutting-edge society”.